Creative Coincidences: Cage On Cunningham Composer John Cage was Merce Cunningham's life partner and longtime collaborator. Cage, who died in 1992, was a pioneer of electronic music and compositions involving chance and randomness. John Cage collaborated with Merce Cummingham, painter Robert Rauschenberg, and pianist David Tudor. He was influenced and inspired by the French artist Marcel Duchamp. 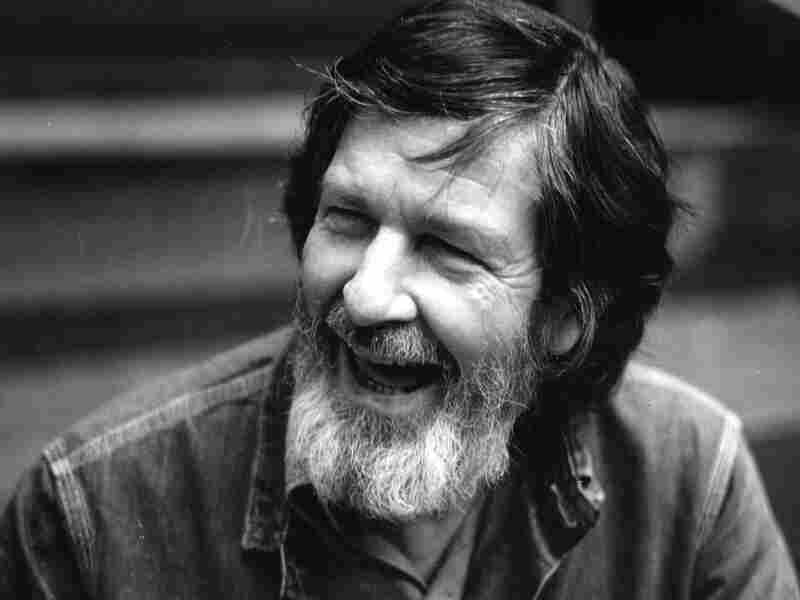 Composer John Cage was the life partner and longtime collaborator of dancer-choreographer Merce Cunningham, who died July 26. Cage, who passed away in 1992, was a pioneer of electronic music and compositions involving chance and randomness. He was one of the first composers to use synthesizers and computers. One of Cage's best known pieces is 4'33 during which not a single note is played. Cage didn't think of the piece as a performance of silence, but as a way to call attention to the sounds of the surrounding environment. Everyday sounds were important to the composer: Instead of using instruments, he often employed noises like radio static, trucks and burglar alarms to create his music. "We almost have an instinct to be annoyed by a burglar alarm," he told Terry Gross in an interview that originally aired in 1985. "But as I pay attention to them, they are curiously, slightly varying." Cage admitted he had no talent for harmony -- and that that helped him create pieces that were truly, totally new for listeners. "My father was an inventor. And I've never thought -- as many people do -- that music should be in my head, and I should learn to write down what I already hear. I really can't hold a tune," he said. "So I found ways of writing music to produce sounds that I haven't heard, and that other people haven't heard." Cage opened himself up to experiencing the world as if it were art. "It's marvelous when we're surprised by coincidences. Light or sound, in our presence. That's one of the beautiful things about hunting mushrooms -- is that they grow up and are fresh at just a particular moment, and our lives are actually characterized by moments." Cage was also known as a poet, artist and philosopher. This interview originally aired in 1985.